Good morning, beautiful. I’m feeling very tranquil right now, having scrolled through all of the wonderful images from today’s feature on English Wedding. This is pure beauty, sophisticated and timeless wedding style for you to fall in love with, take away and turn into your own. 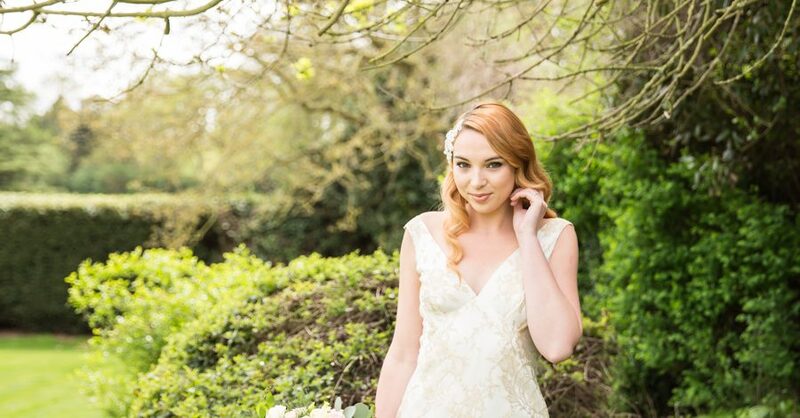 The dresses by Kate Edmondson Bridal are divine; the bouquet just fabulous, and those Little Fancies biscuits and cookies the sweetest thing to hit my blogging screen this year! This shoot was styled and planned by Cynthia Adipue from Kimberley Rose Designs, who is here to tell you more. All images are by lovely Hannah Larkin Photography. Eva Tarnok is a wedding photographer I love to work with: she’s taken some of the most beautiful images of my calligraphy; she has a love for the kind of pretty which perfectly suits a quintessentially English wedding. 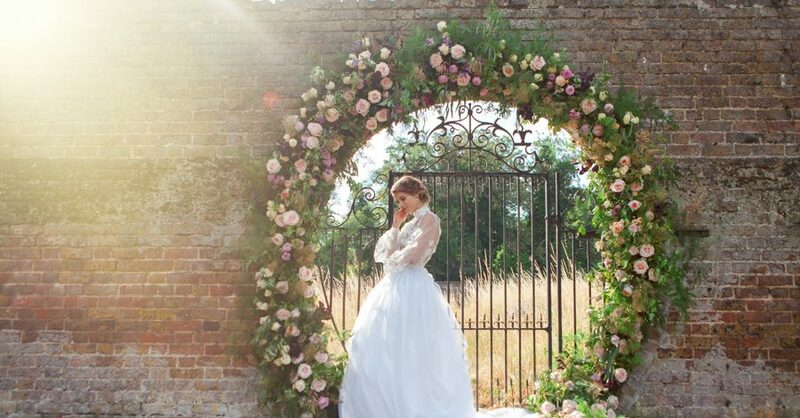 Today’s inspiration is just so lovely: Morden Hall is a classic setting and needs little extra decor. Spring flowers and a pastel cake covered in tumbling, delicate foliage and pretty blooms set the scene, along with my calligraphy. The dress is pure romance… Kate Edmonson has something uniquely beautiful, don’t you think? Morden Hall is a historic manor house set within a stunning National Trust parkland in South London. It is a beautiful country house carefully restored and renovated and is a popular wedding venue with couples all over London. 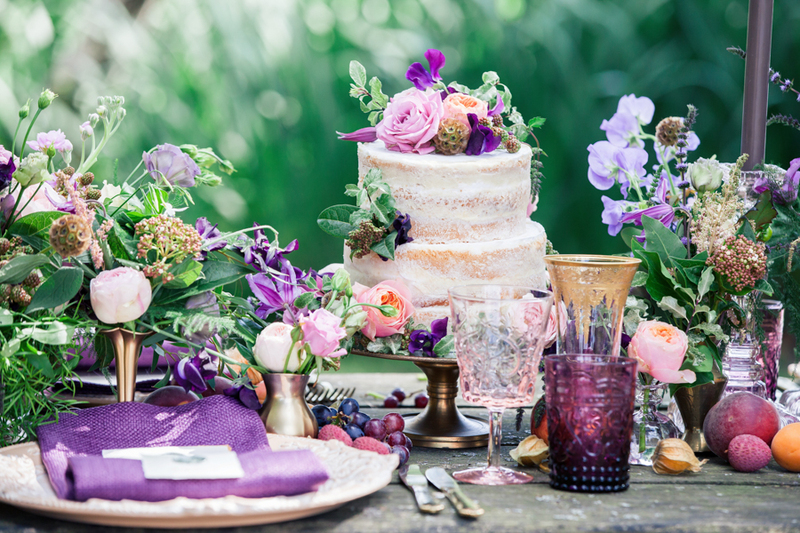 Aisha Phillips, wedding planner from Sassy a la mode and Eva Tarnok, a South London based wedding photographer, worked to put together a classical and natural styled shoot. Your wedding can have luxe styling, romantic florals and pretty details even with a more industrial, city backdrop. There’s something I really love about contrasting an urban setting with feminine decor, and today’s styled shoot is simply fabulous. This styled shoot was inspired by the growing trend in urban feel weddings in London but with brides wanting to maintain that luxurious and stylish feel. Watercolour touches added softness to the industrial surroundings of Drake and Morgan at Kings Cross through the use of silk linens, stunning stationery and a beautifully water colour painted cake.